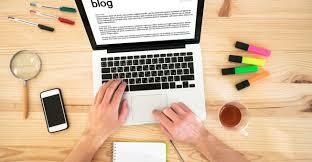 Where you can access the power of a private blog network by renting or purchasing permanent backlinks to your website. If you have a blog, website, YouTube channel or anything and you want to rank higher for your keywords on Google, you need: BACKLINKS! 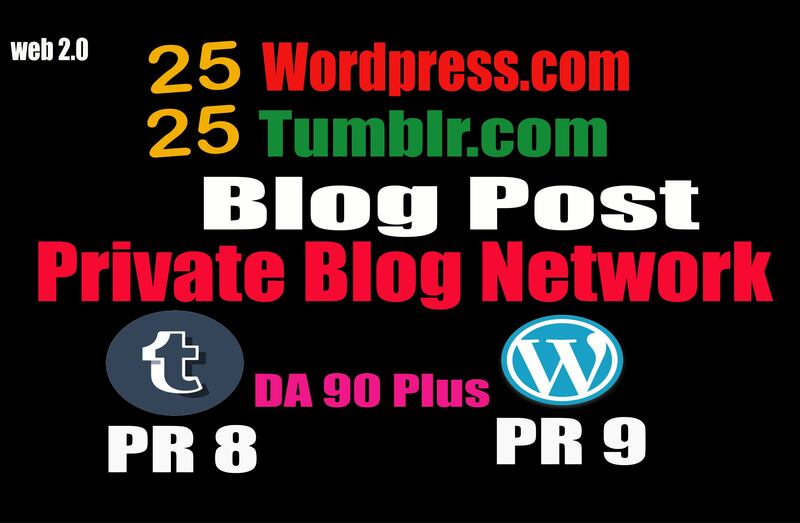 Tumblr and WordPress are most popular blogging platform, It is a new power for the internet marketing, which boost your search engine rankings, You will get 90 High DA backlink, Huge Traffic, Fast Search Engine Index. Google always values links from trusted sources and high authority websites like Tumblr and WordPress which all have above DA 90+ and most interesting part is that Google Loves those links. So why spending huge amount on costly PBNs simply place links on these high metric Tumblrs and beat your competition. The boost that you can give your site when getting backlinks from these sources can be HUGE! These sites are the real GEMS in the SEO industry. The PBN strategy is what i now use for all my clients and the results have been fantastic. Check This Out Below. This was a test site with no links previously and these are the increases after just using this service once! ALL BACKLINKS ARE FROM High Quality Websites with 100+ Domain Authority( DA) and Page Authority. Everyone has their own SEO plan. So you should know the ratio of keywords for better ranking. We recommended use long tail keywords for long-term results. We can accept unlimited keywords and URL. ?Tumblr and 25 WordPress Blog Post 90 High DA - Increase your Rank in Google 2017? 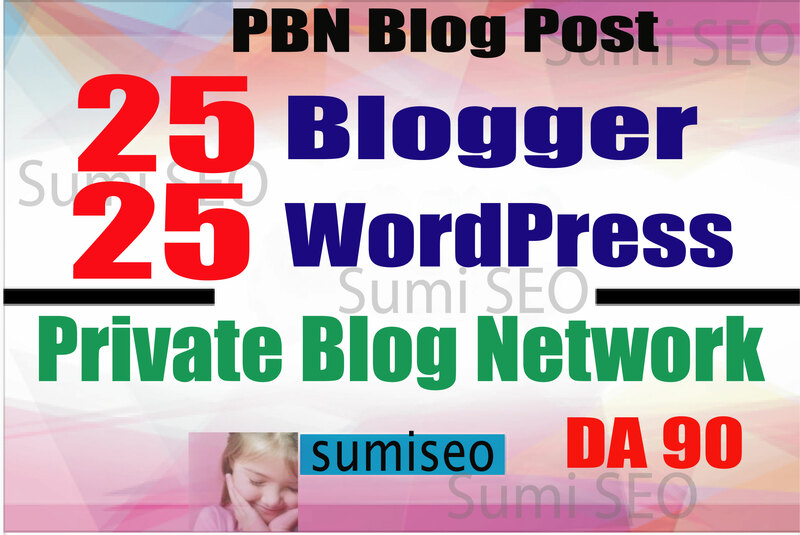 50 PBN _ Blog POSTs (Blogger and WordPress) 90 High DA is ranked 5 out of 5. Based on 84 user reviews.